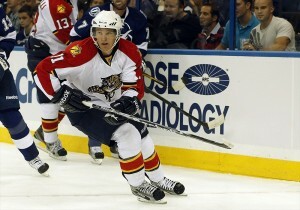 Will Huberdeau Claw His Way to the Top of the Panthers? After a dream-like start to his career, Jonathan Huberdeau took a big step backwards in his second NHL season. 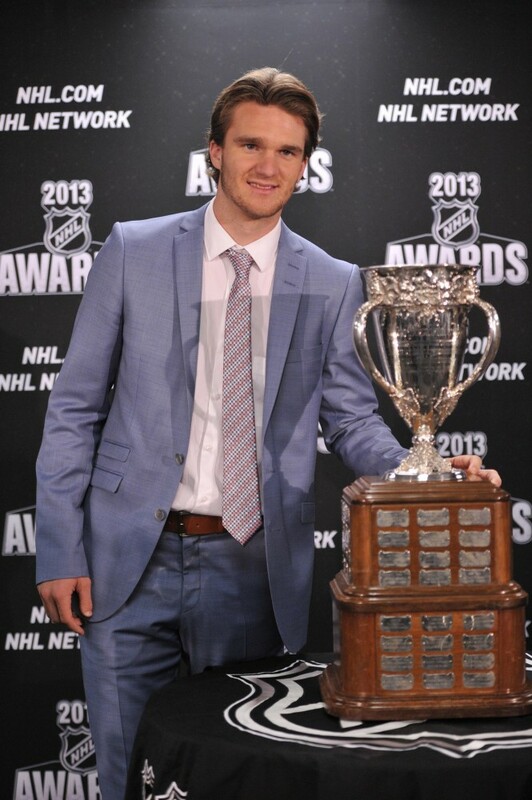 Finishing with 14 goals and 31 points in the lockout-shortened season was enough to snag the Calder Trophy as the NHL’s best rookie in the 2012-13 campaign. To say expectations were high for him going into his sophomore year would be a grand understatement. Unfortunately, he didn’t match the predictions that most people had for him and struggled to find any success throughout the 2013-14 season. 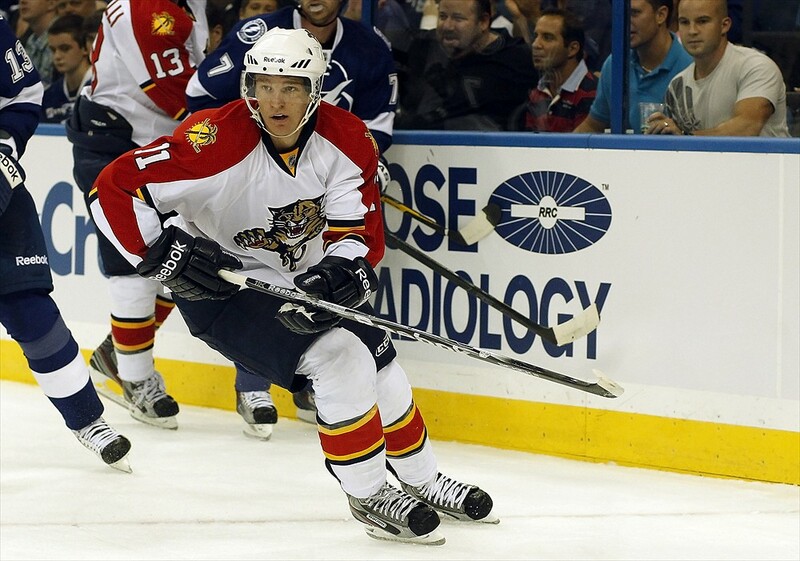 Some say it was the typical sophomore slump, but those close to the Panthers said that Huberdeau struggled after off-season hip surgery which kept him sidelined from May to August of 2013. But is his drop in quality play an anomaly, or a sign of things to come? he finished with 3 less points (and 5 less goals) than his previous season, despite suiting up for 21 more games. At times, Huberdeau got cold. Ice cold. During three separate slumps, Huberdeau had stretches of 12, 16, and 19 games played without scoring a single goal. In October, he scored 3 goals in 4 games and appeared to be finding his groove, but a 12-game slump immediately following proved otherwise. The former 3rd overall pick finished the year with 2 goals in his last 39 games. These numbers are incredible, and not in the good sense. But what causes a young player with the sort of potential that Huberdeau possesses to fall off so dramatically? The sophomore slump is a not just a cliché. It exists in sports and is very real. A scientific explanation for this phenomenon is yet to be discovered, so I choose to look for a more logical explanation. Huberdeau was sent back to juniors after being drafted in 2011 with General Manager Dale Tallon citing a lack of size as the main reason, despite an impressive first training camp at the pro level. Huberdeau went back to juniors and built himself up a bit both physically and mentally, enough to make the squad the next season and contribute to the team. After his rookie year it was revealed that the 21-year-old was battling a hip injury and would require off-season surgery. After going under the knife in May, Huberdeau was kept off the ice until August, and this is where the issue lies. For a young player, the first summer after a rookie season is one of the most important in their careers. They know what the NHL level requires and they have time to workout, bulk up and learn from the pros when it comes to off-season regiments. Staying off of skates for 3 months is extremely detrimental for anyone’s overall game, especially that of a young, still developing player who needs to add muscle to compete on a day-to-day basis. This time off is, in my opinion, the main reason for Huberdeau’s struggles and inability to find traction in his game throughout the entire 2013-14 season. Hockey Championships. He looked a lot more confident in Belarus and finished the tournament with 5 points (1 goal and 4 assists). Coming back from the tournament, Huberdeau knew he needed to get to work in the gym if he wanted to progress to the elite-level talent that he was predicted to be on draft day. This off-season, he did just that. After returning from Belarus, Huberdeau went to Montreal to strengthen his hip and get into game shape. He’s reportedly gained 17 pounds of muscle and from the looks of early training camp footage, is significantly stronger on the ice. With Huberdeau clearly putting the work in this off-season to get himself to where he wants to be physically, along with his former junior coach Gerard Gallant being hired as the Florida Panthers bench boss, all signs point to number eleven having a strong bounce back season. If he gets out to a quick start, the sky is the limit for Jonathan Huberdeau.